There are no paltry “heroes” in this comic book. In digging around the internet to find out what those pictures in my memory are, I initially thought that my most cherished issue of my original hoard must have been one of the Astonishing Tales stories, by Roy Thomas and Wally Wood, 1971. But no! 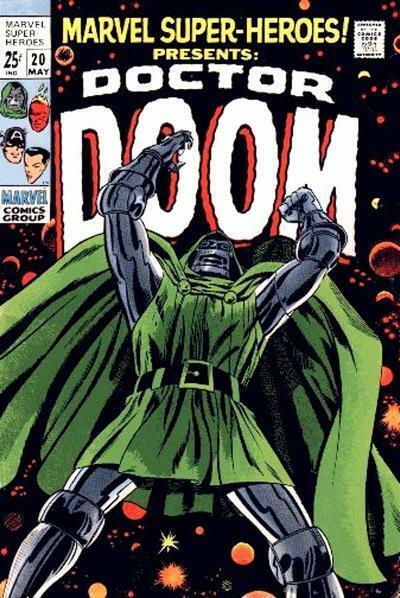 It was the one-shot prequel to that series, published in Marvel Superheroes! #20, 1969, also by Thomas and with extremely of-the-moment art credits: Frank Giacoia (artist), Larry Lieber (pencils), Vince Colletta (inks).